Humanity has long been fascinated by the movements of planets and stars, attempting to interpret their meaning through the use of celestial coordinate systems like the zodiac. The zodiac assigns twelve signs to divisions of the celestial sphere based on the paths of these heavenly bodies. 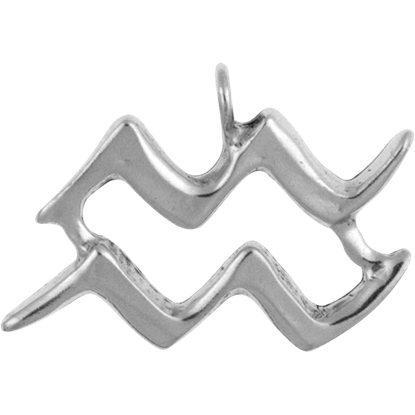 Here we offer a variety of zodiac jewelry including zodiac sign jewelry for each of the signs - Aries, Taurus, Gemini, Cancer, Leo, Virgo, Libra, Scorpio, Sagittarius, Capricorn, Aquarius, and Pisces. 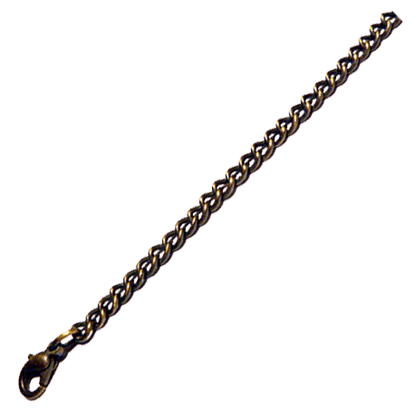 Additionally, we carry fantastic sundial necklaces that can be used to tell the time of day, moon phase pendants, astrology rings, and horoscope jewelry of all sorts. Take a moment to check out all of our stunning zodiac accessories to find the perfect piece to suit your style! 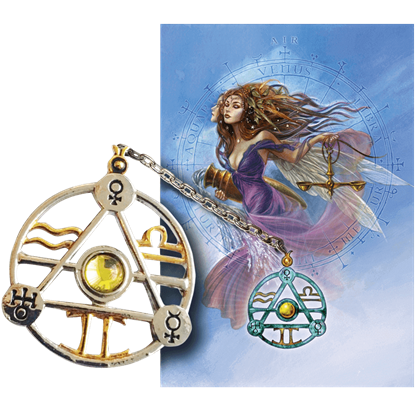 For those who favor the element of air, check out our Air Element Talisman and Card Set. Depicting Gemini, Aquarius, and Libra, the three Western Zodiac signs of this category, this set makes an incredible gift for astrology fans. The legend of Ganymede is the inspiration for the Aquarius sign. Catching the eye of Jupiter, Ganymede became the cupbearer and waterbringer to the gods, which is depicted by the running water symbol in this Aquarius Zodiac Charm Necklace. The Aquarius Zodiac Pendant displays a pouring jug of water to represent Hyas from mythology beneath the traditional zodiac sign. 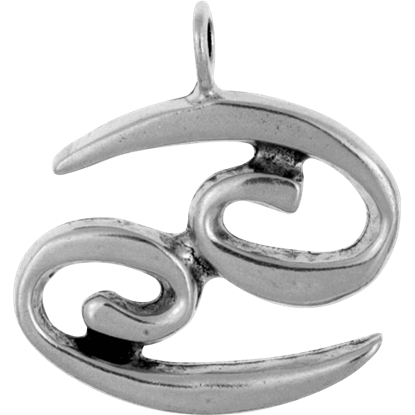 This Aquarius pendant makes a great gift for those born between January 21 and February 19. Aries is the first astrological sign and the first fire sign in the zodiac, named after the flying ram that provided the Golden Fleece. 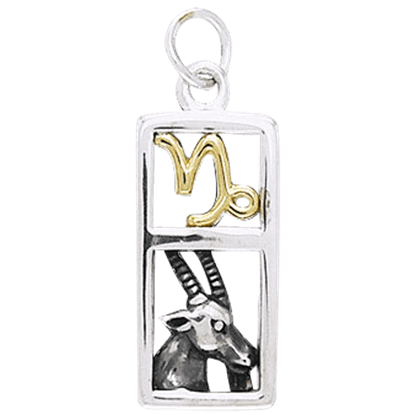 This Aries Zodiac Charm Necklaceis a great way to show off your astrological symbol everywhere you go. 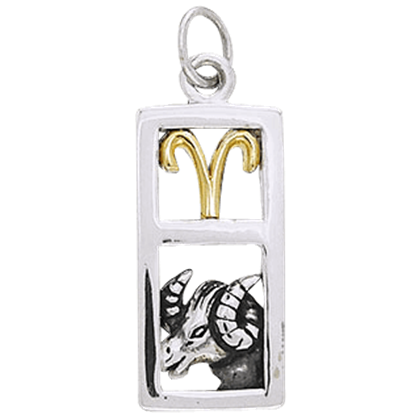 The Aries Zodiac Pendant displays the head of the ram that provided the Golden Fleece in mythology beneath the traditional zodiac sign. 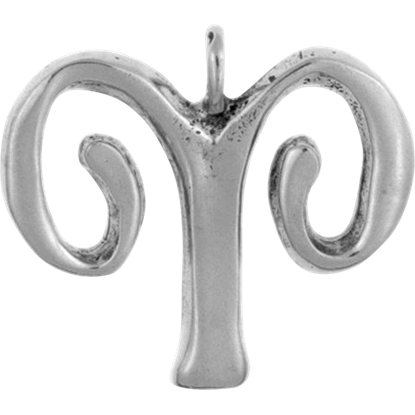 This Aries pendant makes a great gift for those born between March 21 and April 20. The crab symbol that is used to represent the Cancer sign is based on Karkinos, an enormous crab that battled with Hercules during his fight with Hydra. 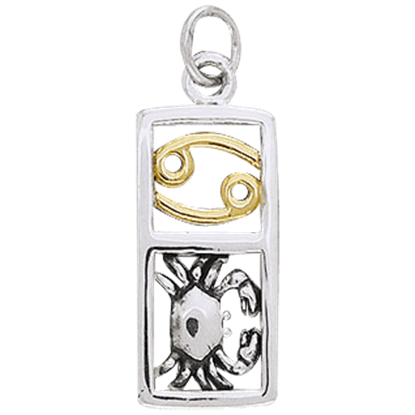 Show your love for the fourth astrological sign with the Cancer Zodiac Charm! The Cancer Zodiac Pendant displays Karkinos, the giant crab that attacked Hercules in mythology beneath the traditional zodiac sign. This Cancer pendant makes a great gift for those born between June 22 and July 22. Based on a primordial god with a fishtail and the head of a mountain goat, the Capricorn is often referred to as the most ambitious sign. 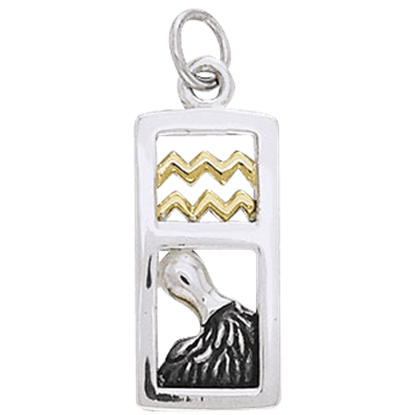 Display the tenth astrological sign among your accessories with this Capricorn Zodiac Charm Necklace. The Capricorn Zodiac Pendant displays the head of Enki, a fish-tailed goat of mythology, beneath the traditional zodiac sign. 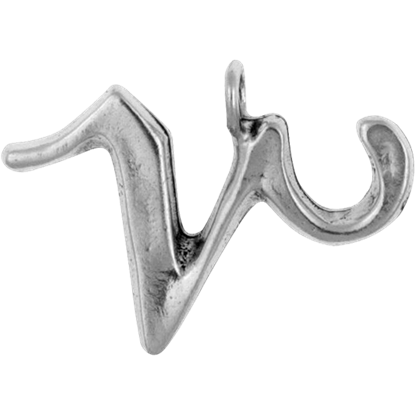 This Capricorn pendant makes a great gift for those born between December 22 and January 20. The Cassiellum Amethyst for Karma Clearing Necklace is an ideal choice for those seeking a unique style. 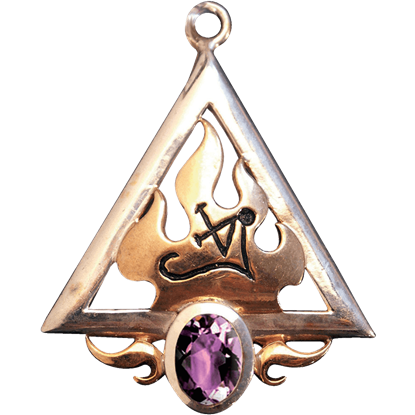 This bold pendant contains the symbol of fire with the Sigil of Cassiel and houses a lovely amethyst gemstone at the base. Featuring Virgo, Taurus, and Capricorn, the Earth Element Talisman and Card Set is perfect for Zodiac fans who fall under any of these signs. 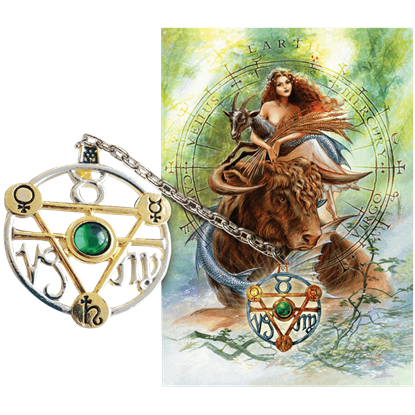 The set includes an illustrated greeting card and an accompanying talisman necklace.